For 2010, the Toyota Tundra gets a new grille design and redesigned taillights. Also new for 2010 is the availability of a smaller, more fuel-efficient but at the same time more powerful 4.6-liter V8. Knee aribags and height-adjustable headlights are standard.Two new trim levels, the Platinum Package and Work Truck, are available. 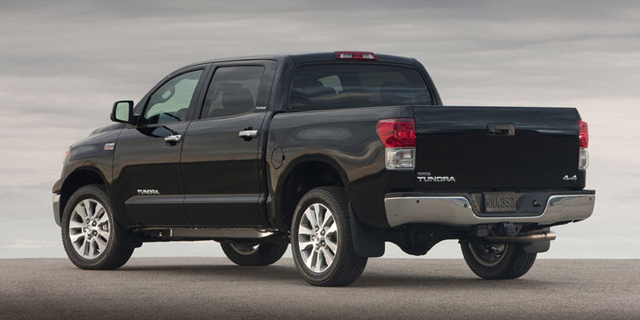 Find the used Toyota Tundra of your choice from a dealer in your area. Search our used car listings now.